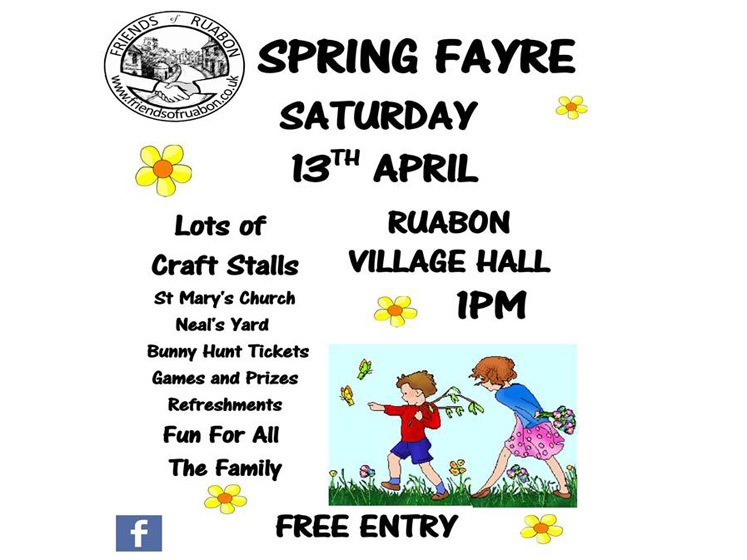 It’s Ruabon’s Spring Fayre this Saturday, April 13th. Lots of Craft Stalls, Games and Prizes, Refreshments. Fun for all the famiy!